Two of the most important and outspoken chef personalities in America discuss the power of food. 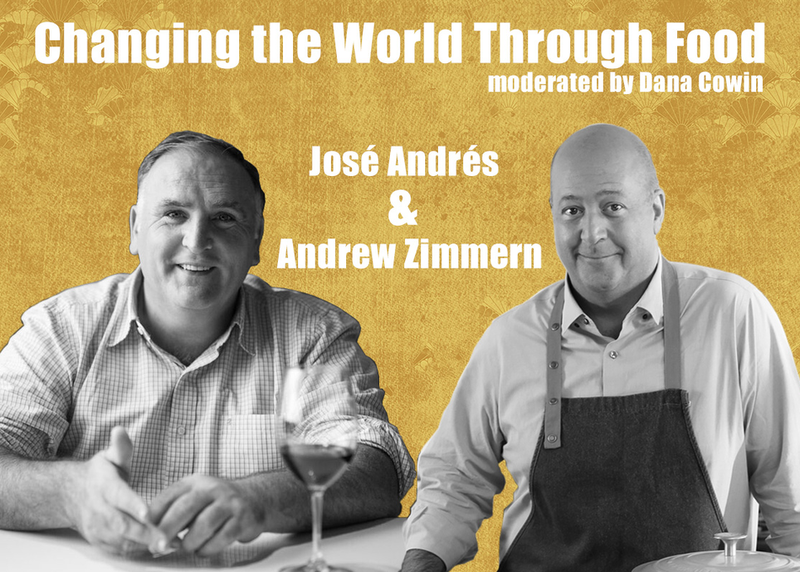 Spanish-born José Andrés global philanthropic efforts include directly impacting lives after Hurricane Maria by helping provide over 3 million meals in Puerto Rico with his nonprofit organization World Central Kitchen. And Andrew Zimmern is one of our most effective cultural ambassadors, promoting unity and understanding by highlighting over 170 countries on his TV shows, including Bizarre Foods. For one session only, listen to a conversation moderated by former Food & Wine Editor in Chief Dana Cowin to hear how they change the world one cooked dish at a time.